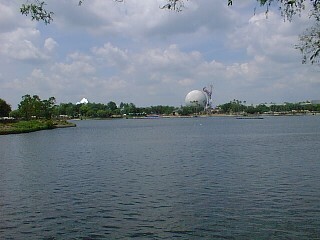 In the distance, and again in a closer view is the icon for Epcot, Spaceship Earth. Below is a picture of Craig standing in front of a bronze sculpture of a Japanese warrior. 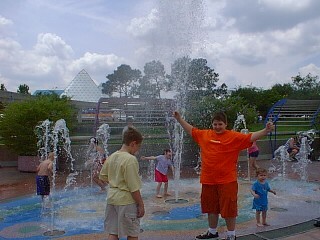 Right, Robby and Craig cool off in the water fountains. 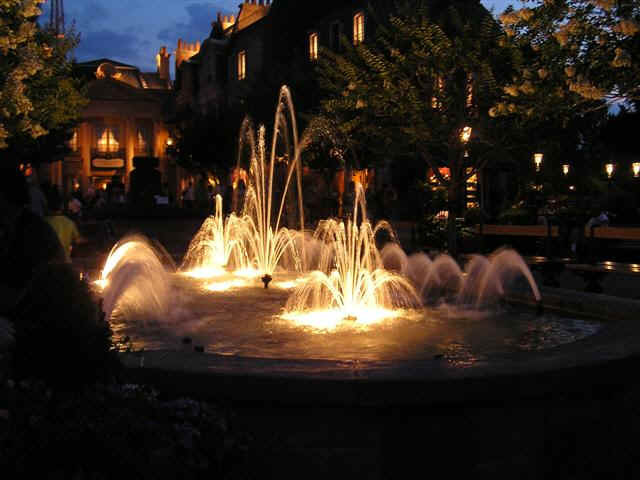 In the background you can see the pyramid-shaped greenhouse, The Land.